Graphene Brake Track : Graphene added to the rim brake track allows for greater resistance to overheating with improved heat dissipation and reduced temperature accumulation during heavy braking. The grooved track helps evacuate trapped moisture between pad and rim in the wet, and brings more resistance when conditions are dry so less force at the lever is required. If you are going for non-disc wheels applying the most advanced technologies but with a much better price, the grooved graphene surface stand out for you. 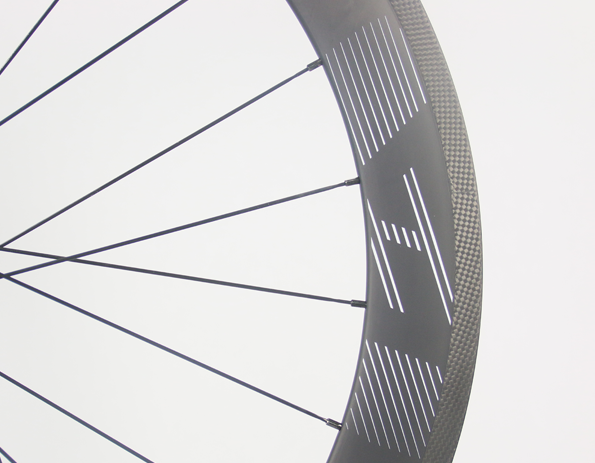 Or if you have a limited budget, wanting to have a pair of non-disc wheels competent to deliver decent performance on major occasions, the most cost-effective high TG surface support you there making your dream come true.